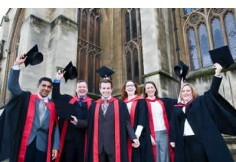 The University of the West of England is recognised nationally and internationally as one of the leading centres for education in the Biomedical Sciences; the course is delivered through a department that received the maximum achievable score of 24/24 for teaching and student support in its last Quality Assurance Agency Review. The programme is available by both full-time and part-time routes. The part-time route is particularly suitable for students in employment as Biomedical Scientists in pathology laboratories, for whom an appropriate MSc is a pre-requisite for undertaking the Institute of Biomedical Science (IBMS) Higher Specialist Diploma which is required for promotion to the grade of fellow. To this end the award is approved by the IBMS. However, the course is also suitable for a range of other career paths in the Biomedical Sciences. Graduates have gone on to become Clinical Scientists, industrial researchers, and some have progressed to undertake PhDs and pursue academic careers. 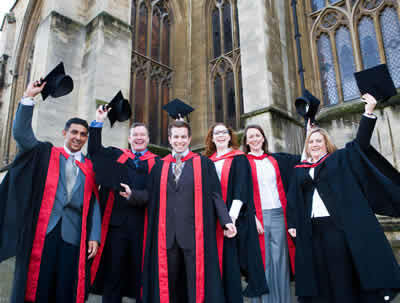 Applicants normally have one of the following: -an honours degree awarded by a UK institute of higher education of at least lower second status, in a relevant subject, with significant biological, biochemical or biomedical content related to the vocational specialist subject to be studied; -a BSc(Hons) Biomedical Science with distinction awarded by the University of the West of England; -qualifications deemed equivalent by the Programme Leader. All students study the core modules: Methods in Clinical Analysis; Research Methods; Current Issues in Biomedical Research; and Biomedical Aspects of Ageing. Students following a named specialist subject route study two modules of the specialist subject. The MSc Biomedical Science will be awarded to students combining two different specialist subject modules. A research project is undertaken for the award of MSc. Part-time students perform the research project over two terms of the third year in their own laboratory. Full-time students carry out the project under the supervision of specialist subject tutors either at the University or at a placement in a suitable research institute. A Postgraduate Diploma will be awarded to students who do not undertake the research project. Each taught module is assessed by a written examination and coursework. Coursework may be in the form of a case study, study pack, poster or oral presentation.